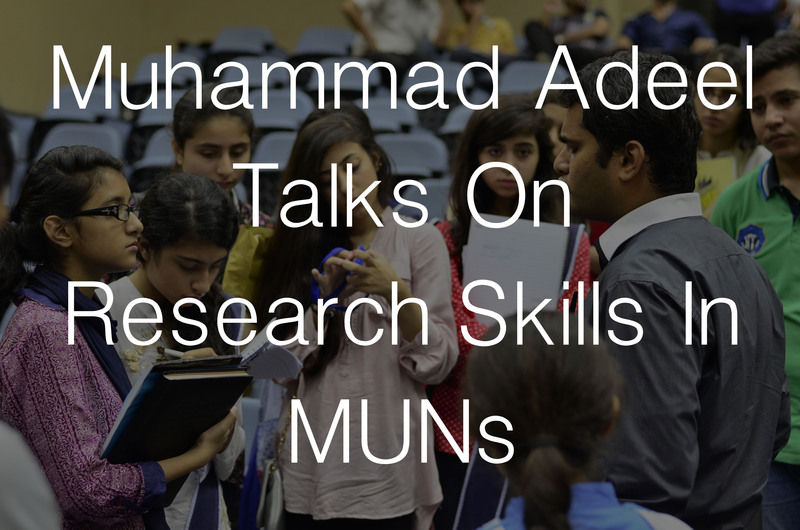 On 7 July 2015, the MUN Society FCC held an information session on Research Skills In MUNs. This was a very informative and constructive session, as research is what fuels debates in MUNs and we cannot stress enough on how important a good research is. Mr. Adeel told the students to start by making a MUN research binder which should contain all their research material from all the MUNs they have attended, as the same research material can be helpful again as well. He also gave helpful techniques on how to do efficient research and the links to some effective UN websites which can be used for research. Overall it was an interesting session and would indeed be helpful for the students in long term.